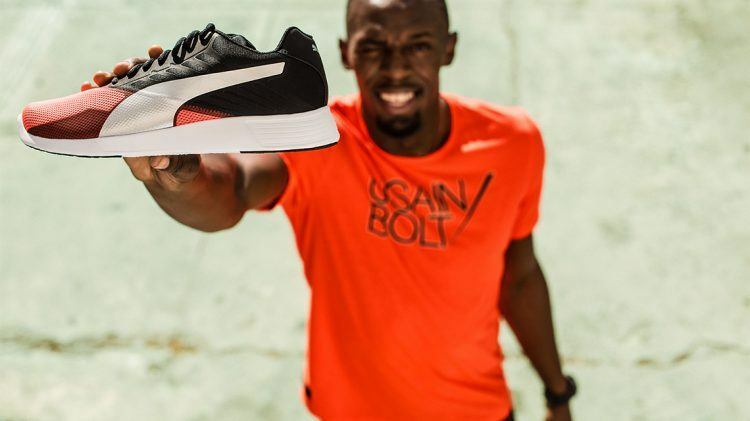 What does the World’s Fastest Man wear when he’s not on track? 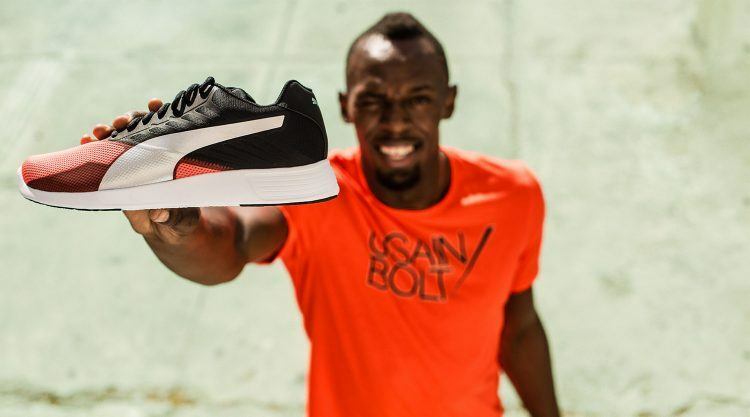 PUMA x Usain Bolt. 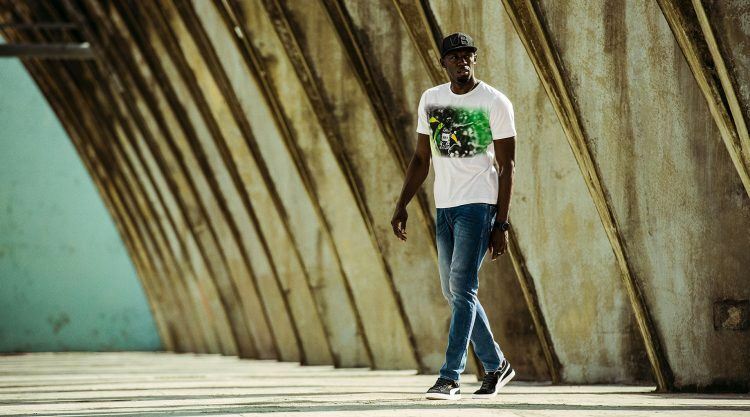 Our new collection with the owner of nine Olympic Golds for the Autumn-Winter 2016 season is made up of athletic and comfortable pieces. 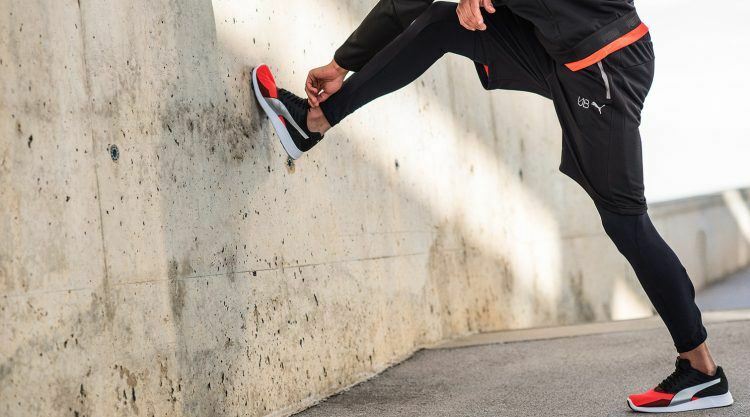 For example, it includes a UB Logo Tee with innovative dryCELL material to help you stay dry – making the transition from training to chilling out that much easier – and a Hoody and Shorts made from soft warmCELL Material. 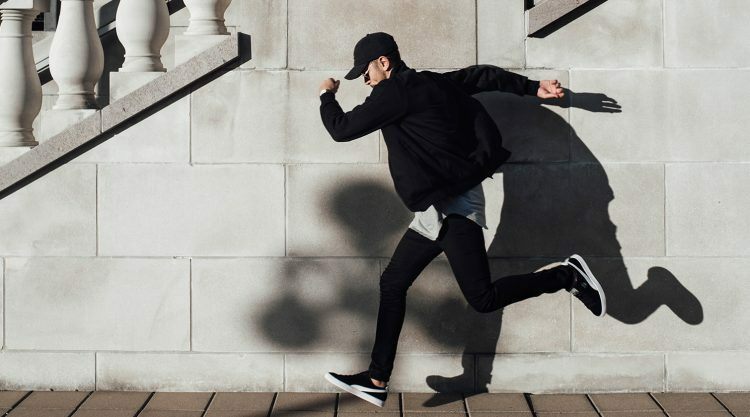 To complete the look, the collection includes must-have accessories – the UB Flat Brim Hat and Backpacks. 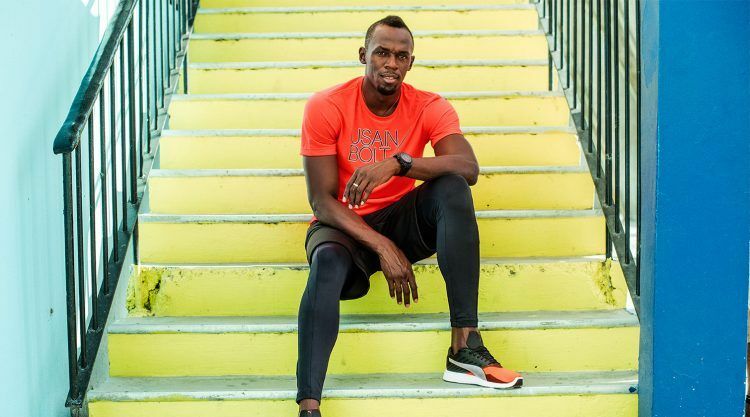 All the pieces have PUMA x Usain Bolt branding and reflective elements. 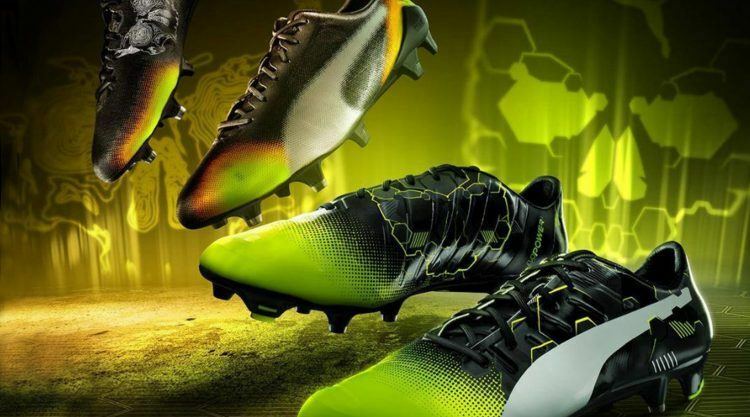 The collection is now available on puma.com and PUMA Stores and retailers worldwide. 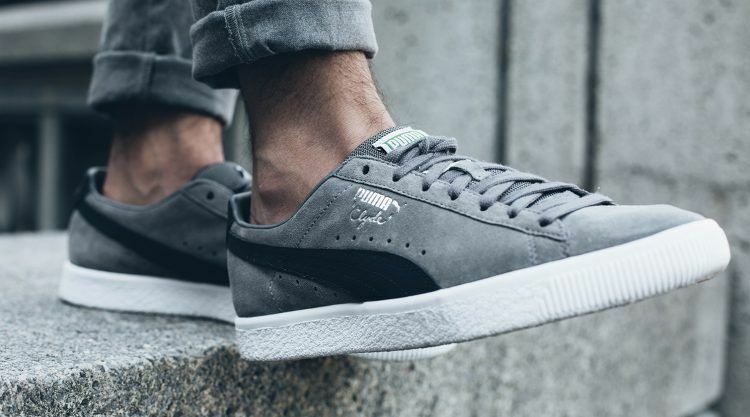 Once again, we have teamed up with New York based label Staple, known for its iconic Pigeon logo, to redesign two PUMA classics: the Suede and the Blaze of Glory. Staple’s Creative Director Jeff Staple has given both iconic sneaker silhouettes his unmistakable colour scheme and his iconic Pigeon motif. 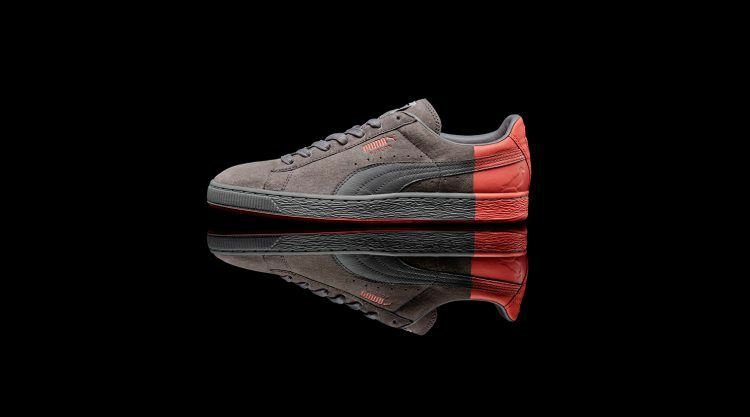 The PUMA Suede x Staple pack is made up of a gray, a black and a white pair of PUMA Suede. 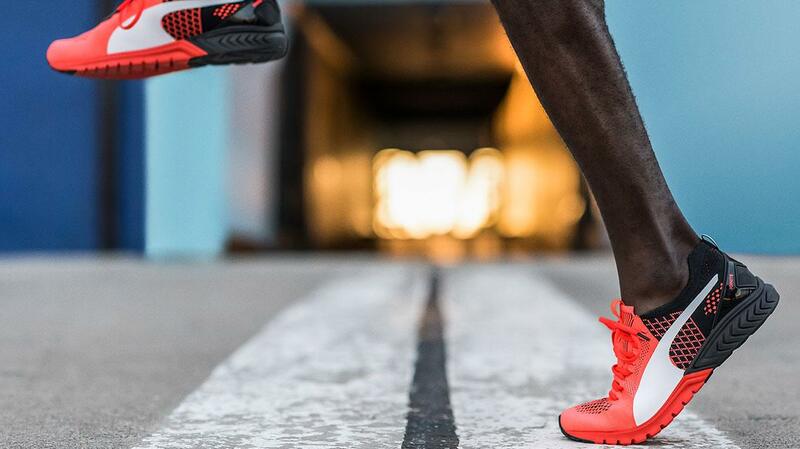 Each heel has been “dipped” into the pink color found on our flying friend’s feet and there is a collaborative PUMA and Staple label on the tongue. 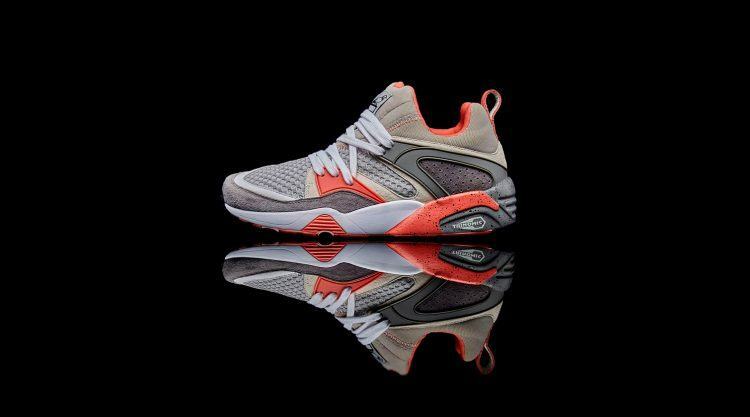 The PUMA Blaze of Glory x Staple features a combination of all Pigeon color schemes with a texture play of suede and mesh inspired by the concrete jungle and a speckled print on the midsole and laces. Each style of the PUMA Suede x Staple is available at select retailers in different regions exclusively: the white is available in North and Latin America only, the black version exclusively in Asia Pacific and the grey colorway in Europe and the Middle East. Jeff Staple explains the reasoning behind this: “I miss the days when sneaker culture was all about the hunt. 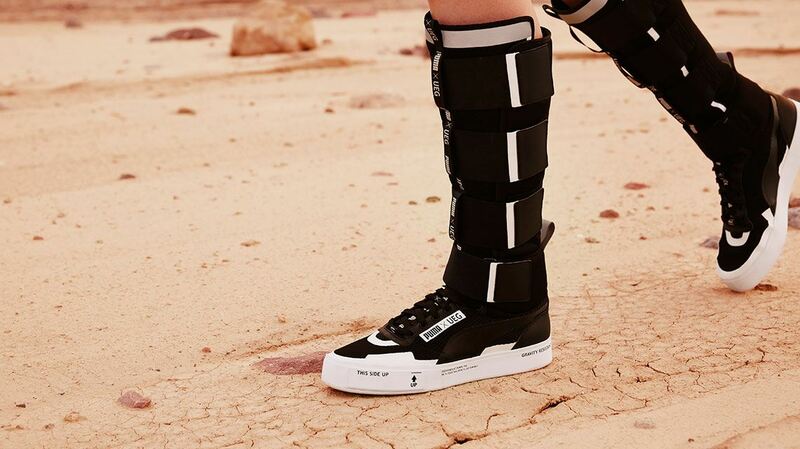 You might need to ask a favor from a relative in London, or hit up a homie in Tokyo in order to get grails you really needed.” The other style, the PUMA BOG x Staple, will be available worldwide. 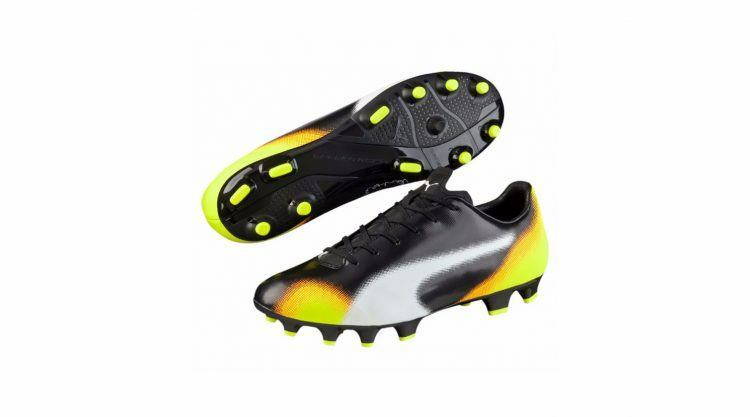 When footballers lead their team, they lead it with a tribal mentality. It’s done with passion and loyalty, and an ambition shared by their teammates. Antoine Griezmann and Olivier Giroud are such leaders. 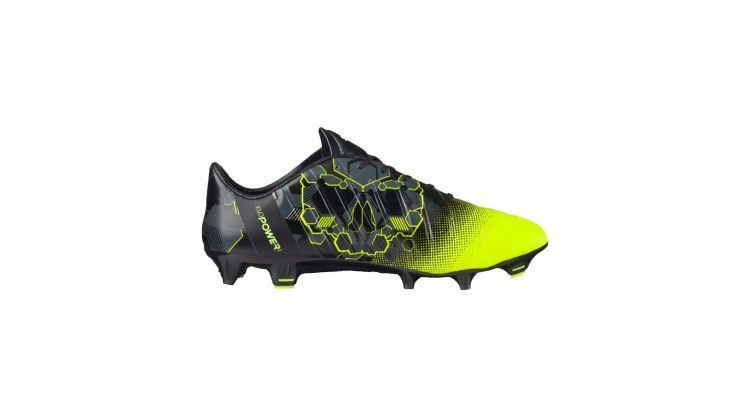 They emerge from a remarkable summer filled with European play, and head into the club season with confidence and the force of their team at their sides—and new boots, made for them and worn by them alone: the evoSPEED Graphic and evoPOWER Graphic, inspired by the trophy skulls of ancient tribes. 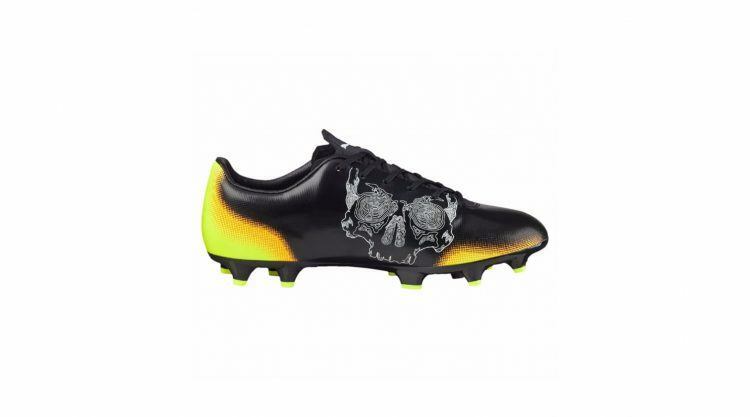 Griezmann’s evoSPEED boot features a glowing skull to reflect key strike zones, while Giroud’s strength and raw style of play are shown with an evoPOWER skull graphic featuring geometric armor. 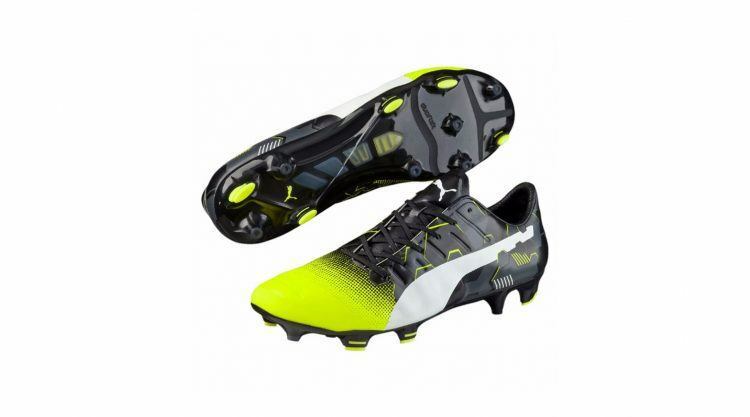 Both the evoSPEED 4.5 Graphic FG and evoPOWER 1.3 Graphic FG are available at PUMA stores and online at PUMA.com. 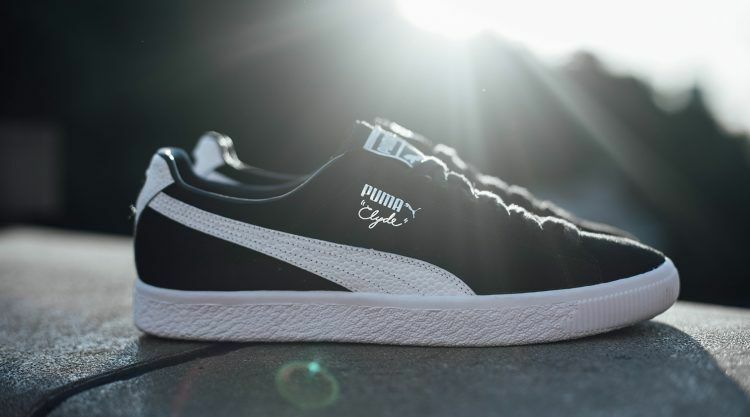 We’re delivering the next installment of the Clyde comeback series – the PUMA Clyde B&C. 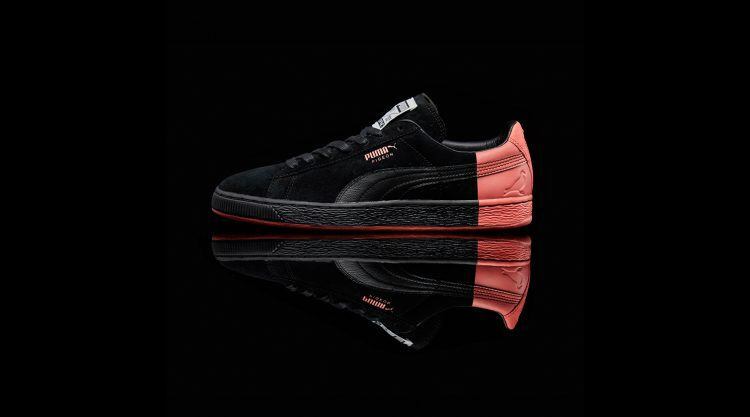 This 3-color pack draws inspiration from the original sneakers released in 2006 named after the infamous couple from the 1967 Hollywood film as well as the name-giver of our iconic sneaker, basketball legend Walt “Clyde” Frazier. 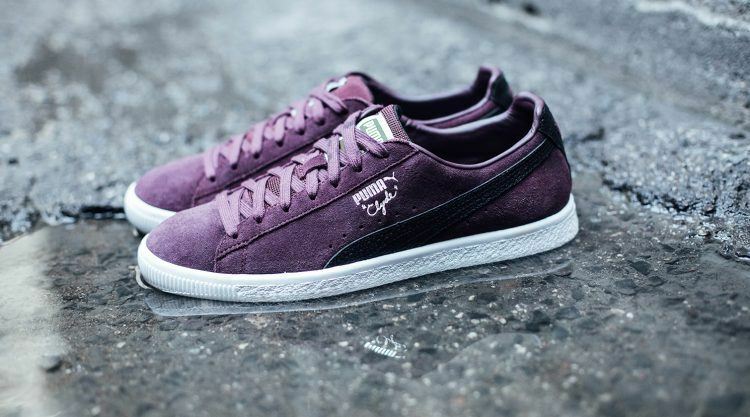 For this version of the PUMA Clyde, we have updated the upper with rich soft Suede leather and extended the color range to include grey and wine red together with the original black and white colorway. 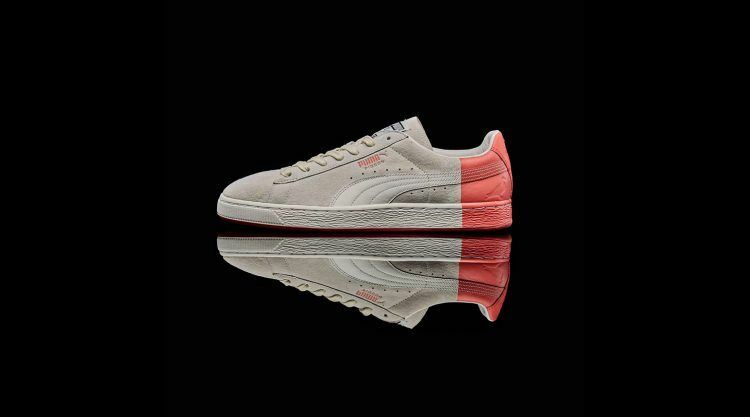 The PUMA Clyde B&C is available in stores and online from 1st October 2016. 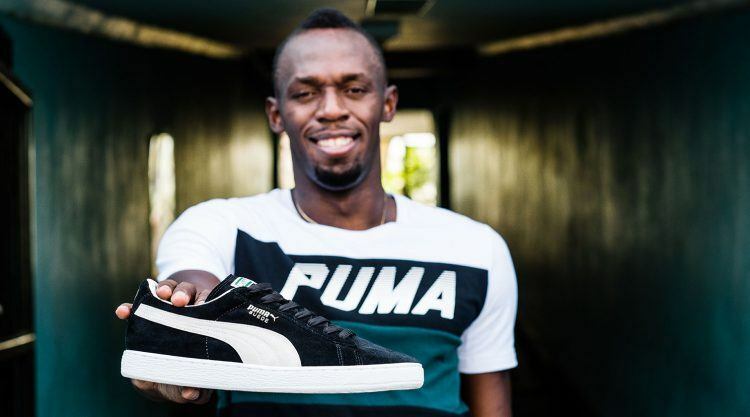 Just when you thought you could finally recover from the havoc wreaked by the PUMA x Staple Pigeon Suede that shook the sneaker world three years ago, the next chapter arrives. Just a piece of friendly advice - a little more hustle will be required for this one. 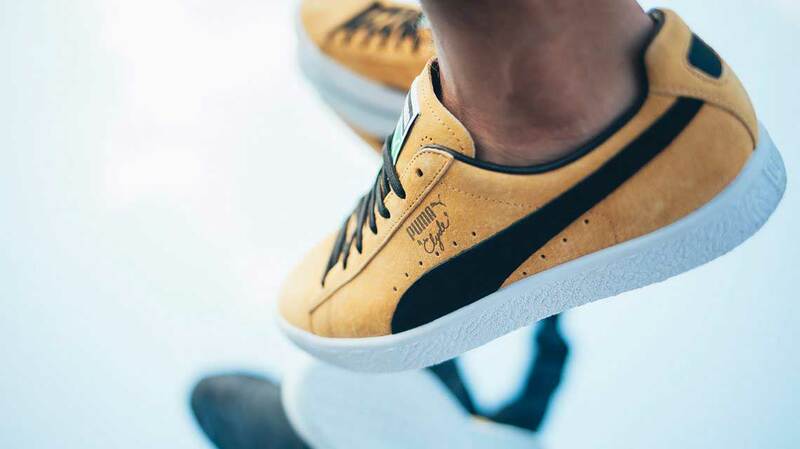 Many sports and sneaker fanatics know that the basketball legend Walt “Clyde” Frazier – after whom our PUMA Clyde sneakers are named – earned his nickname from wearing wide-brimmed Borsalino hats similar to the male protagonist in the movie, Clyde Burrows. Walt Frazier would often say that on the court he used to steal the ball like Clyde robbing the banks.